Luca Bassi uploaded 2 images. 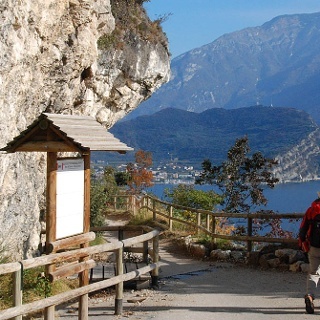 A literary stroll which follows in the footsteps of the great German poet Goethe from Nago to Torbole, during his celebrated Italian tour (1786 - 1788). Johann Wolfgang von Goethe, already famous as the author of “The Sorrows of Young Werther” and a minister of Weimar, visited Italy between 1786 and 1787, in search of inspiration in the home of classical writers, art and culture. And he could hardly resist a visit to Lake Garda, praised as “a magnificent product of nature” after the visits of other important figures of European culture such as the French philosopher Michel Eyquem de Montaigne (1780) or the earlier visit of Albrecht Dürer (1495). 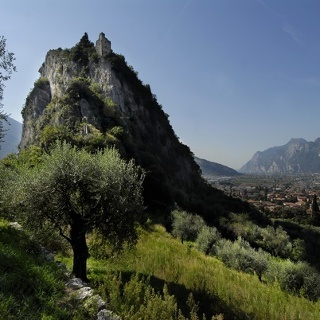 This literary stroll follows in the footsteps of Goethe who arrived in Torbole on the evening of 12th September 1786, going down to Nago on foot along the historic Santa Lucia road, at the time the only way of getting to Lake Garda from the Adige Valley. Each stage is accompanied by quotations with notes on the original text of Goethe's “Italian Journey” (see gallery). This trail has some truly spectacular views so don't forget to take your camera! The Hidden Treasures itineraries were designed in order to give visitors a chance to get to know places in Garda Trentino that are off the beaten track. For this reason, the signposting is not always in the same style and sometimes missing altogether. We therefore recommend you to take a good map with you on these excursions. And then bear in mind your general reference points: Lake Garda = South, Monte Stivo = East, Rocchetta = West, Arco Castle = North. The telephone number for the emergency services is 112. This excursion is quite simple and presents no particular difficulty. However, we still recommend you to wear suitable footwear, a hat, sun screen and sunglasses. And be sure to bring water! Start from via Sighele, the entrance to the historic centre of Nago. 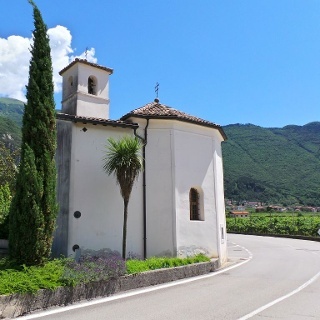 Head down via San Vigilio to Piazza Gazzoletti and continue on Strada Vecchia and then the ancient Via di Santa Lucia, the historic medieval road which leads through the olive groves towards Torbole. At the end of this road, when you come to the plaque commemorating the exploits of the Venetians in 1439 (“Galeas per Montes”, the transport of a small fleet of ships to Torbole over land), cross the public gardens and head up around the first bend of via Europa to the Belvedere viewing point (the ruins of an ancient tower, the “castle” of Torbole). Head down the adjacent steps which lead from via Europa to via Don Gioppi, then on to via Matteotti and immediately turn left in the direction of Piazza Goethe: this is the central square of Torbole where the author spent the night in the house which now bears the commemorative plaque, above “Goethe's fountain”. Cross the street in the direction of the little harbour and you can imagine Goethe's boat as it sailed away in the first light towards Malcesine. Following in his footsteps, head down the lake shore as far as the landing stage to bid farewell to the poet and see the bust of him sculpted by the local Fernando Cian which is located in piazza Alpini. 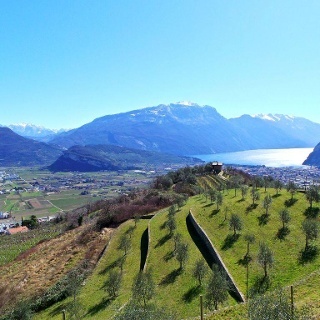 The towns in Garda Trentino - Riva del Garda, Torbole sul Garda, Nago and Arco – are connected by a number of urban and intercity bus lines which will take you to the starting point of the trail. 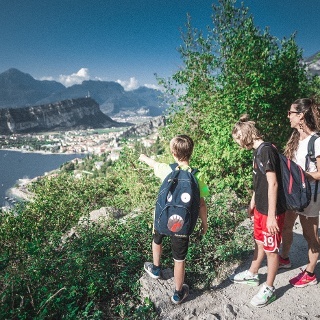 Nago can be reached by the number 332 bus from Arco, Riva del Garda and Rovereto, and the urban bus number 3 from Riva del Garda, Torbole and Arco. The car park “al Coel” in Nago, which is accessed from the roundabout, is free of charge all year round.